Invacare Bariatric Foam Mattress is uniquely designed for larger/bariatric patients. It is constructed from highly durable and resilient foam and provides patients with comfort and support. It is latex free and complies with Federal Flammability Standards: 16CFR1632 and 16CFR1633. This high-quality mattress includes a durable 11-ounce vinyl cover that is anti-bacterial and waterproof for easy use and care. 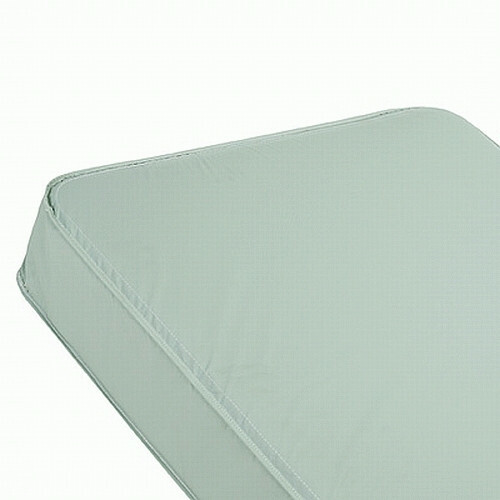 The cover protects the mattress from odors, stains, dust, and incontinence. The solid inner core can easily be flipped and reversed to extend mattress life and service. The Invacare Bariatric Mattress is compatible with the Invacare Full Electric Bariatric Bed. Anyone adult , even regular weight, ,who has just even sat on this mattress sinks rihht done to the frame. This is not for bariatric people to be comfortable at all. When shopping for a replacement mattress for mybariatric bed, I kept coming back to the Invacare one. The long standing name narrowed my decision because their products have been around a long time.